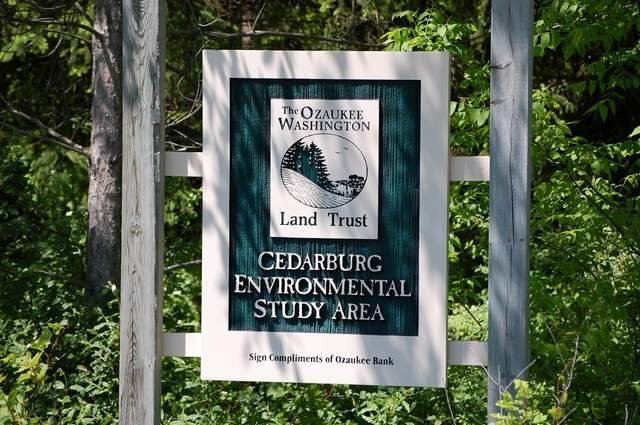 In the midst of the Town of Cedarburg, one of the most rapidly developing areas in the region, is a 38-acre tract of ponds, wetland and forest, which serves as a refuge for a variety of wildlife species. 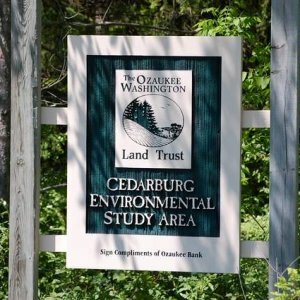 The Cedarburg Environmental Study Area (CESA) was acquired by the Ozaukee Washington Land Trust in 1998 from the Senglaub family of Cedarburg. Several years prior to OWLT ownership, the Senglaubs had initiated a major transformation of the former agricultural fields. Multiple wetlands and ponds were created in addition to the planting of over 40,000 trees. This dramatically changed the landscape and created a wide variety of habitats. For their efforts the Senglaubs received the Wisconsin Land Conservation Association Habitat Development Award in 1988. As you walk the trails of the property, you will notice many different habitat types including wetlands, ponds, open meadow, conifer forests, and mixed hardwoods forests. The vegetation, both native and non native, has created habitat for a variety of insects, birds, mammals, amphibians, and reptiles. Bird species such as blue-winged teal, wood ducks, mallards, green herons, and warbling vireo have been observed on the property. Plant species such as green ash, red maple, red osier dogwood, white pine, and jack-in-the pulpit are found within the property. It’s also known for its amazing array of ant hills. As the name suggests CESA is dedicated to the study of the natural world. It is ideal for hiking, bird watching and a variety of environmental education activities. Due to the close proximity to regional schools, this property provides an excellent opportunity to learn about the diversity of habitats within a relatively small area. Several local school groups, the Town of Cedarburg, Boy Scouts, Girl Scouts, and dedicated volunteers contribute collectively to maintain this property.